Today Ebony Steele released the following statement on her blog and social media. I will be leaving “The Rickey Smiley Morning Show” as of today. I feel so blessed to have been part of such a special family for 7 great years and have so enjoyed radio, TV, and my association with Reach Media, and Radio One. Here’s a hint on what’s next! I am going to do something that I have always wanted to do and it involves expanding my entrepreneurial interests. I’ve always taught females that at some point in their lives they have to spread their wings take a risk on faith and grow. No matter what! Now it is my turn to lead by example. It is equally exciting that I am likely going to be able to pursue my dreams right within the same radio family... It is my vision that my new endeavors will allow me continued contact with you, my loyal fans... Stay tuned and stay in touch. 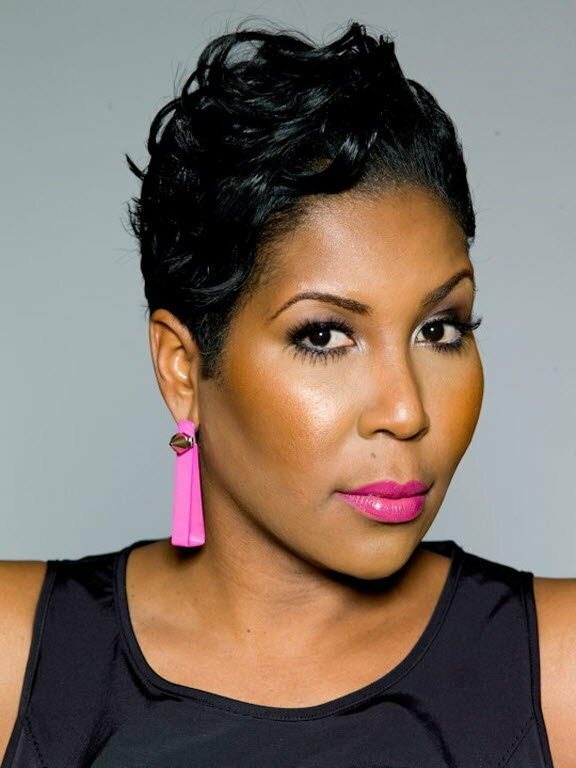 After 7 years with "The Rickey Smiley Morning Show," our girl Ebony Steele is moving on. We'll miss her wit, charm and funny personality, and we thank her so much for everything she brought to the show. She will always be part of my radio family. Speculation regarding Ebony's future with the syndicated morning show arose when she mysteriously disappeared from the TV celebrity gossip/pop culture TV show 'Dish Nation', where she had been working from the show's Los Angeles' studio. During that time Porsha Williams of the Real Housewives of Atlanta came aboard to sub for Steele on the RSMS based in the ATL. According to sources model/media personality Claudia Jordan will soon join the Rickey Smiley Morning Show. Apparently this move was not initiated by Dish Nation, but by an in-house decision from management of Reach Media and Radio One. Will this fuel the New York Post rumor that Rickey Smiley is headed to Hot 97?